According to uncondtional.co.nz data, the total of new homes listed and the average asking price is now close to what it was this time last year. There has been 1.5% fewer new listings on the market and the average asking price is up 1.3%. 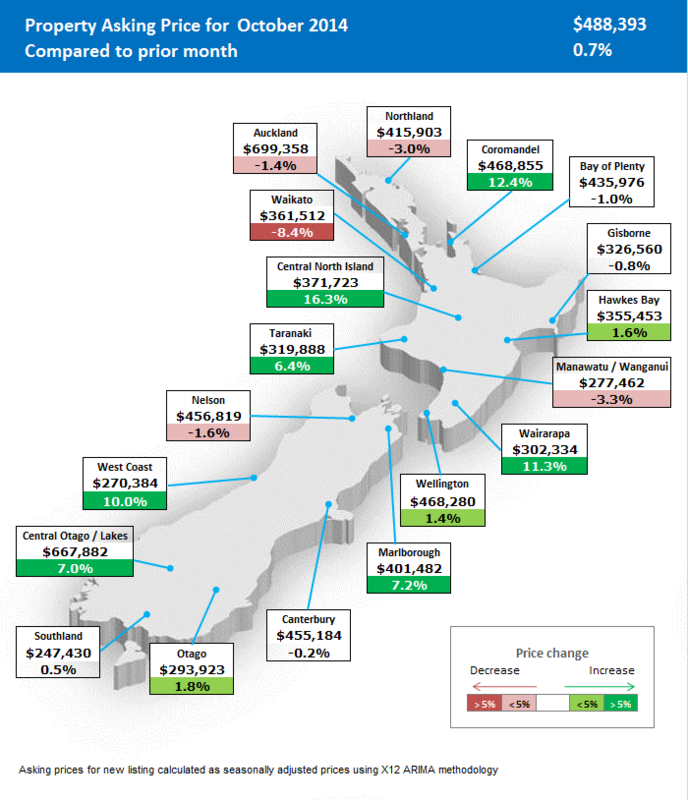 The average asking price in Auckland remains at just under $700,000. The number of new listings recorded in at 32% in October with realestate.co.nz reporting a total of 13,765 new homes listed in October. With the election, we didn’t see the usual spring rise in homes for sale, but the strong rise in October brings us back close to long-term figures. The total number of homes for sale nationally is 39,917. Wellington had an increase of more than 11% of new homes being listed compared to this time last year, Canterbury rose to 15% and the Waikato, 18%.